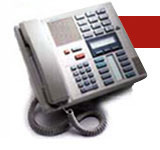 Supply Technology, Inc. is a leading Independent Distributor of telecommunication equipment, specializing in first quality Nortel, Avaya, Cisco, and Siemens/ROLM telephones, circuit boards, systems and peripherals. From its headquarters in Southern California with a satellite sales office in Oregon, Supply Technology serves customers in all 50 states. In addition to selling both refurbished and new equipment, the company has a state-of-the-art repair depot for phones and circuit boards.